Earlier this week, The Behemoth announced that Castle Crashers is coming to the Nintendo Switch, with Castle Crashers Remastered. This version of the game will be released this Summer in Europe and North America, and will feature HD Rumble, as well as 4 player local Joy-Con support. Of course, you will also be able to play online. Hack and slash your way to victory in this Remastered edition of the popular 2D arcade adventure from The Behemoth! Up to four friends can play locally or online and save your princess, defend your kingdom, and crash some castles! – A multiplayer mini-game called “Back Off Barbarian” that’s frantic and weird. – CCR runs at 60 frames per second. The original ran at 30 frames per second which feels kind of like a slideshow if you go back to it after trying this new one. For more details about the game, make sure to check out the official blog of the developers by clicking here! 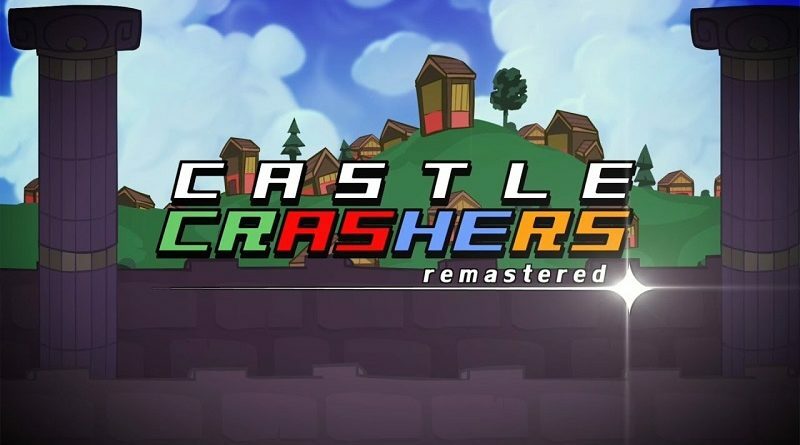 Castle Crashers Remastered (Switch – eShop) comes out this Summer in Europe and North America. The Upcoming Games page has been updated!